While adding yet another social network page to your business’s social media marketing plan may seem daunting, the advantages of Google+ Pages may even outweigh the benefits of Facebook and Twitter. Even if you don’t plan on constantly updating your Google+ account, it is important to create it. 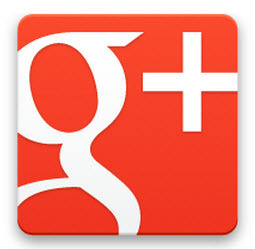 Here are the 5 main advantages of Google+ for your business. 1. Google Familiarity: Google+ is essentially just another social media application added to a list of already widely used and trusted apps on Google. The general public already uses Google search, maps, calendars etc, so adapting to this new social network is fairly simple for consumers. 2. SEO: Google+ business pages will have more exposure than Facebook or Twitter on Google’s search engine. This is due to the fact that Google can use its leverage to make its own social network more searchable on its own search engine. 3. Direct Connection: This new social network allows consumers to type in a “+” followed by a business or brand and be directly connected to that company’s Google+ page. This element is nonexistent on any other social network. 4. More Free Exposure: Really, what more can a business ask for than more free advertising? When it comes down to it, the more customers able to view and share your products the better. Google+ already has over 40 million users, why not tap into yet another market? 5. If You Don’t, Someone Else Will: Currently, Google+ has very few restrictions on who creates a page, and frankly anyone can make an official page with your brand fairly easily. While it’s possible to reclaim your official page, it’s much easier to do it yourself the first time.